The giveaways tied celebrating the site redesign might be all done, but that doesn’t mean they have to end right? Of course not! 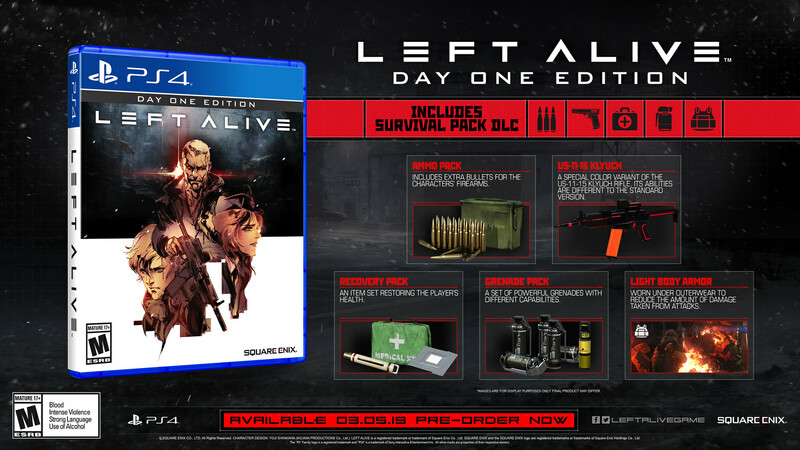 So, here we go with a Left Alive MECH Edition giveaway! We have a whopping four copies to giveaway. This comes courtesy of the amazing people at Square Enix, and it is one extremely cool special edition. The giveaway will begin today (March 22, 2019) and run through Monday, March 25th, with winners being announced on March 26th. This giveaway is for US and Canada only; sorry to everyone in other regions! Simply click the button below, enter in all your information, and prep yourself to hopefully win big! It also wouldn’t hurt our feelings if you dropped us some love in the comments. If you are on the fence about the game, make sure to check out our review. Thanks to everyone in advance for taking part in our giveaway. Now, get going and enter!